Fill out this form & complete the task of the week listed there to win! By successfully completing the two steps listed above 👆 ALL of the participants will receive 10 points. ❗️ Please note that one person can only participate once in this campaign and we do not allow multiple submissions/accounts. Any cheating or suspicious activity will result in the suspension of your participation. ❗️ If you will be using social media for posting and sharing, make sure that your account is valid and active and is not only used for promotional activities. We will announce all the winners by March 30 in our Telegram groups. Thank you to everyone who has participated in this campaign! 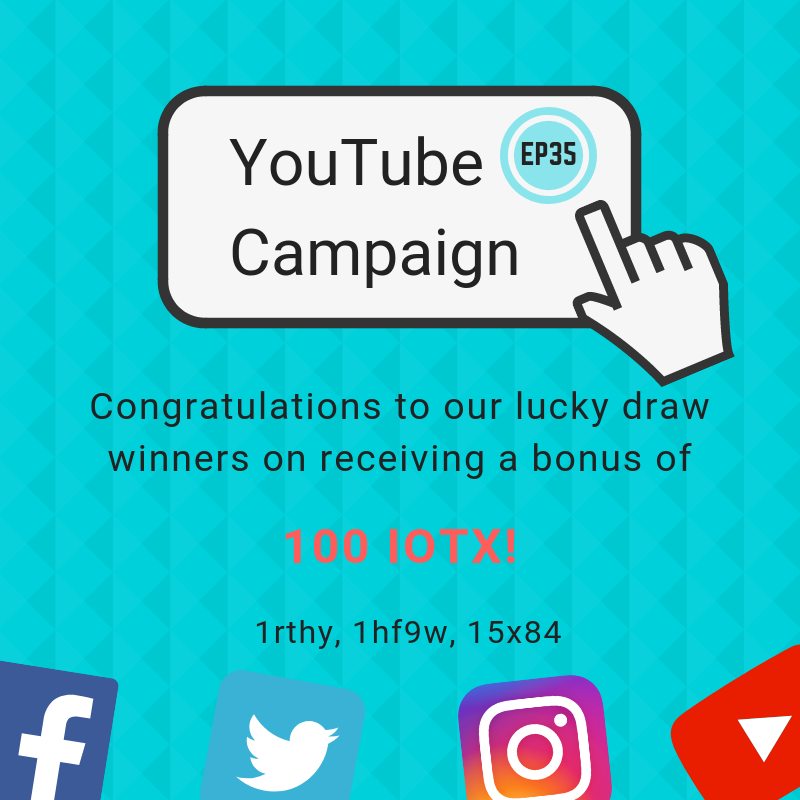 Below you will find the winning IoTeX Hash ID’s. Founded as an open-source project in 2017, IoTeX is building the world’s leading privacy-centric blockchain platform for the Internet of Things (IoT). Their mission is to build a decentralized trust fabric for a new era of collaboration and data exchange among devices, applications and people. Backed by a global team of research scientists and top engineers, IoTeX combines blockchain, trusted hardware and edge computing to realize the full potential of IoT.